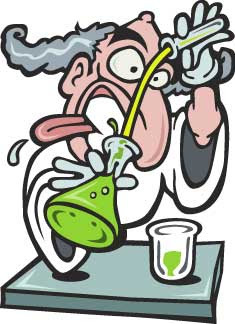 Torah Philosophy: Is Science Evil? Science is the study of nature. Religion is our belief in the supernatural. Therefore there is no conflict between science and religion. They are two entirely separate fields of knowledge, like let’s say plumbing and medicine. There is only one generally accepted scientific theory, which I believe Judaism has a conflict with, and that is the concept of universal descent from a common ancestor. Judaism teaches that each kind was created separately. Scientists assume that since fossils show that different, more primitive forms of life have existed in the past, we must be descended from them. I have a different interpretation. The only problem arises when scientists become carried away with their own importance and claim that nature is all there is. This is not science, but rather scientism. Let’s say a plumber would claim that medicine is bogus and all illnesses can be treated using wrenches and pipes - this is the absurdity of scientism. According to scientism, there is not and never will be a convincing explanation for the origin of the universe or the origin of life. There can also be no free will. We are all in reality robots, which is absurd. Scientists have done a great deal of good. They have put man on the moon. They have also killed a few astronauts. But to say they know everything is like saying your plumber, since he did such a great job on the kitchen sink, knows everything so let’s use him for brain surgery too. Any sane person can see that science is not the whole story. You have an excellent blog. Please keep up the good work, and G-d bless you and your family. Thank you both very much. I appreciate the positive comments! Couldn't you say the same thing about Rabbi's when they start talking about medicine, physics, biology etc? They are experts in Torah, and in Hashem but not in everything. In fact you can probably change the entire article to one that a skeptic would write by a few changes such as plumber --> rabbi, etc. Actually, in modern times, rabbis do not talk about physics, biology and medicine. Maybe that's why. I would have to disagree with you there. I have heard drashes explaining how Rabbis (in the twentieth century) have used Torah insights to decide whether people should go into surgery or not etc. Additionally when Rabbis say that all the science behind evolution and a multi billion year old universe is wrong they are talking about science. I have heard of rabbis giving advice about which doctor to use, however I don't know of any rabbi practicing medicine. If science contradicts something revealed to us by prophesy, then of course science is wrong. As mentioned in my post, I have found that to be true only once. As far as the issue of universal ancestry is concerned, some Rishonim, such as in the sefer Drashos haRan, speak of Hashem having created some original matter, from which was molded everything else in existence. Perhaps that would help resolve yet another seeming machlokes. The Ramban says that as well on Genesis 1. However, to the best of my knowledge, there is no hint in the writings of any rabbi before 1860 that all life is descended from microbes or that man is descended from an ape.